Gears of Halo - Video game reviews, news and cosplay : Master Chief cameo in Gears of War 3? So while you are all out playing the Gears of War 3 beta, Clif Bleszinski is still running round do promotional work for the game - and his latest effort is to claim that he tried to get Halo's Master Chief into the game thus making an attempt to create the ultimate Gears of Halo crossover a reality. Alas it was not to be. Here's some quotes I stole from the internet. "I'll let you in on a secret. I actually approached Microsoft on getting Master Chief into the game, but those guys are kind of squeamish"
"One of Halo's successes is that it's a soft M [rating]. Gears pushes it further. I'm creatively comfortable with that, though it can limit what you do. 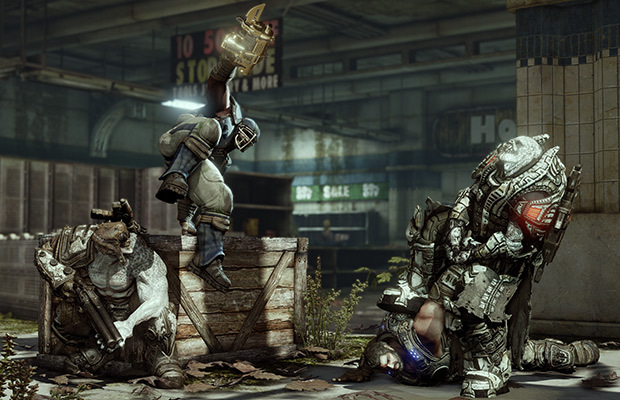 If you had to break it down, I'd say that Gears is like Mortal Kombat and Halo is like Street Fighter." 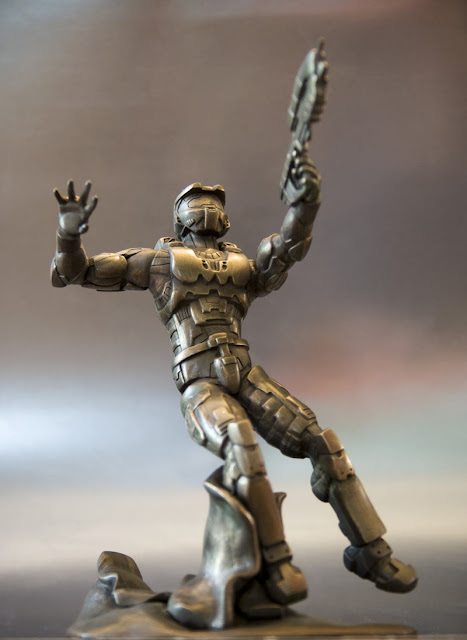 "But if we were to get Master Chief, we'd get his model, put him in a COG suit, make it blow up, and do some test animation work"
"We'd have to see what his head looks like being blown to smithereens or how his arm would look getting sawed off. Then we'd package up the test footage, put it on YouTube, and let the fans get a kick out of it because everything is meta these days. "That's why Gears is packed with Easter eggs. That's the kind of metagame we have to think about in a post-Red Dead Redemption world." Cliff talks a good game and I'm not sure how far he really went with this concept of putting the Master Chief into Gears of War. I do recall they did go and put Marcus and Dom into Lost Planet 2 but who really cared about that?